where a, b, and c are real numbers, a ≠ 0. 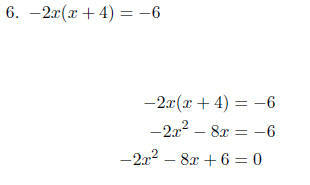 • The quadratic formula is a result of solving ax^2 + bx + c = 0 by completing the square. 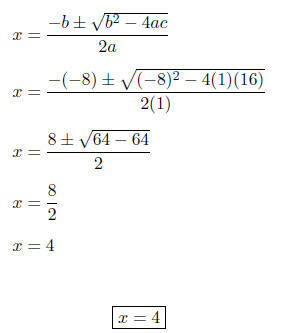 • The quadratic formula can be used to solve any quadratic equation. 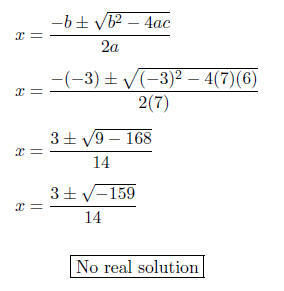 • If b^2 - 4ac < 0 then there are no real solutions to the quadratic equation. • If b^2 - 4ac = 0, then the quadratic equation has only one real zero. 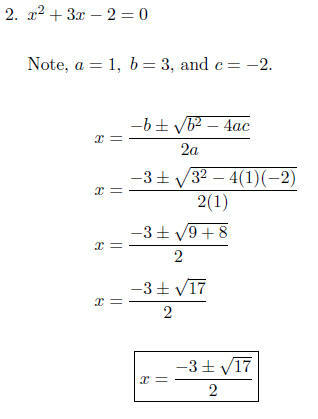 • In the quadratic formula, the -b is also divided by 2a. 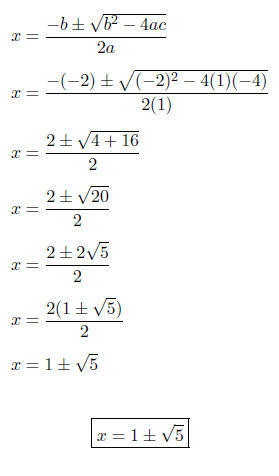 equation without a change of variables. 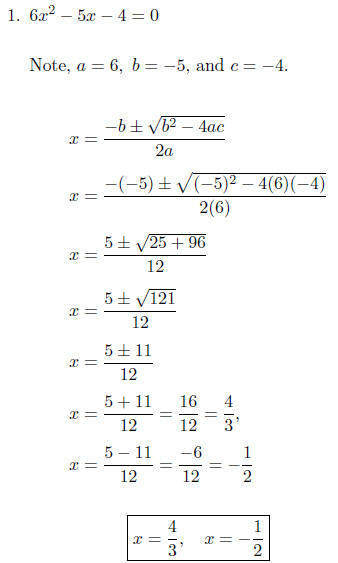 Solve the following equations using the quadratic formula. 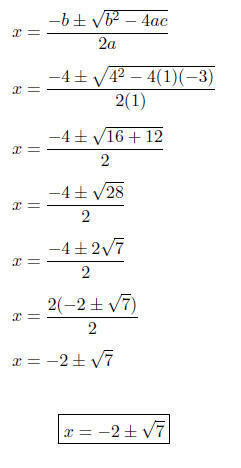 identify a, b, and c.
Therefore, a = 1, b = -2, and c = -4.
formula, we will divide each term by -2. Hence, a = 1, b = 4, and c = -3. We must first make one side zero before identifying a, b, and c.
Therefore, a = 7, b = -3, and c = 6.
fore we can identify a, b, or c.
Therefore, a = 1, b = -8, and c = 16.